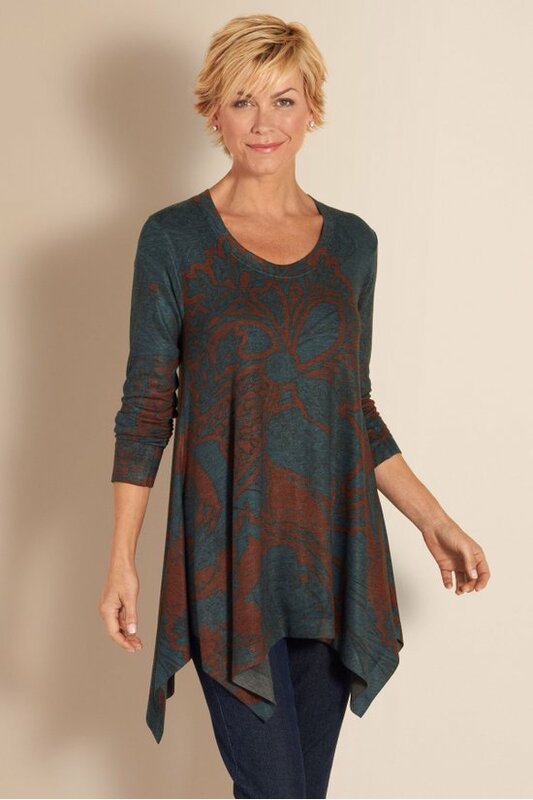 Subtle stylized graphics in richly muted hues lend dramatic intrigue to this artful top. Swingy and shapely with a fluid drape that flows into a pointed high-low curved hem. Poly/rayon/spandex. Misses 29-1/2" long. Hand Wash Cold, Non Chlorine Bleach, Lay Flat To Dry, Cool Iron If Needed, May Be Dry Cleaned.